Submitted by dave on February 9, 2007 - 6:15am. 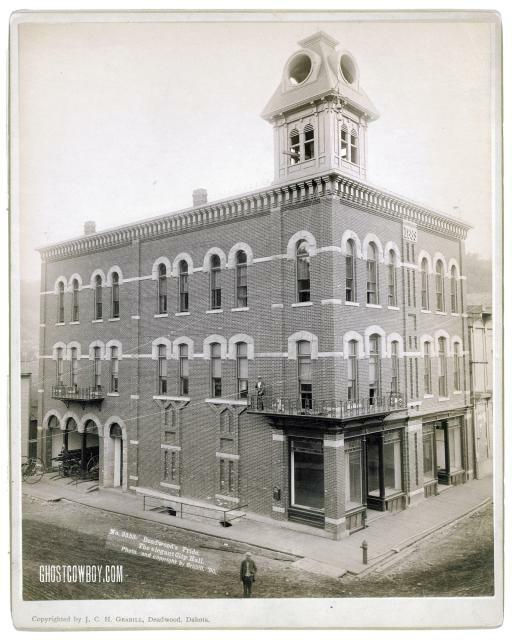 Deadwood City Hall in 1890 shortly after its completion. Note fire wagons in garage, fire alarm and fire hydrant. 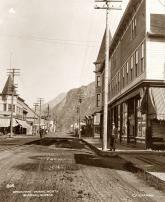 The building burned to the ground in 1952. Those are electric arc lights mounted up near the belfry. Larger image.